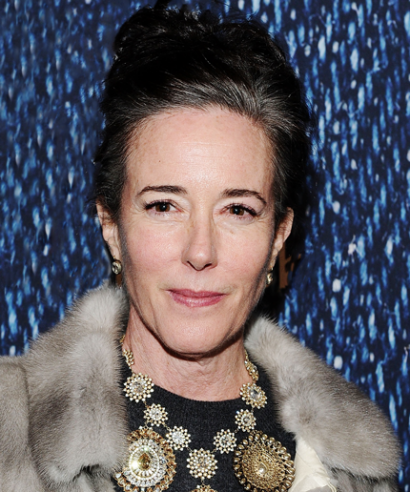 Successful handbag designer Kate Spade was found dead this morning in her Park Avenue apartment this morning. Kate is the sister in law to actor David Spade. She was 55. Police are investigating her death as an apparent suicide. Kate spade began her handbag company in her apartment alongside her husband Andy and friend Elyce Arons in 1993, during which she worked as an accessories editor at Mademoiselle magazine, basing her designs off of six shapes of bags. Today there more than 140 retail and outlet stores across the US and more than 175 stores internationally. Her bags are known for their colorful and classy expression of the classic accessory. Last year she changed her name to Katherine Noel Frances Valentine Brosnahan Spade, to separate her name from her previous brand. Kate spoke to NPR in 2017 about how they developed the company into the well-known major lifestyle brand. Spade famously ripped the labels of her handbags out of the inside of her bags and affixed them to the outside of the bag just before her first trade show. Once the bags were featured with the pages of Vogue magazine, they quickly became a smash hit. In 2007 she left the company a year after it was acquired by the Neiman Marcus Group for $125 million. Spade and her husband Andy formed Frances Valentine, named after their daughter, in 2016 after a nearly ten year hiatus, spade had taken time off to raise their young daughter and devote themselves to other projects and focuse on philanthropic ventures. Spade alongside activist Gloria Steinem donated $40,000 to the Woman’s Media Center in 2015. Women’s Media Center was originally co founded by Steinem, Jane Fonda and Robin Morgan, to make women more visible and powerful in the media. Spade also was a strong supporter and contributor of the charity New York Center for Children. Depression does not discriminate, wealth and fame cannot cure a persons mental health and a woman known for her bright bags and warm personality is now another causality in the rising number of suicides in the United States. If you are having thoughts of suicide, call the National Suicide Prevention Lifeline at 1-800-273-8255 (TALK) or go to SpeakingOfSuicide.com/resources for a list of additional resources.